Description: Tamiya, an egomaniacal samurai, determines to reunite with his wife Oiwa, who’s left him after a murder scandal. When her sister Osode is tricked into prostitution by a masseuse, Tamiya is joined by his friend Naosuke in turning the situation into a plot to win back Oiwa, which complicates as a new girl enters the picture. 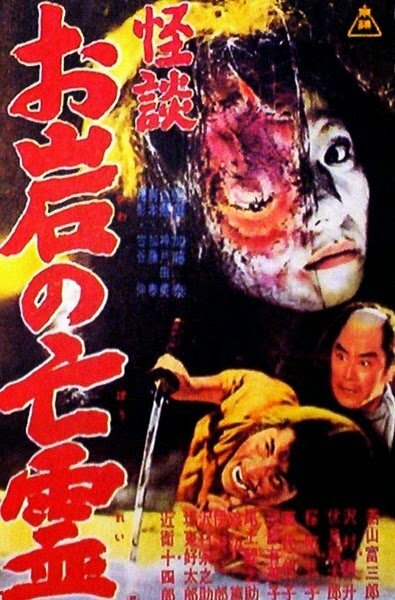 Tamiya’s scheming injustices backfire in the form of an onryo, a vengeance-seeking ghost, and yet the movie’s horror is entirely of human contrivance. Based on the famous Japanese Kabuki play Tokaido Yotsuya Kaidan, written by Tsuruya Nanboku IV in 1825. Tagged 1960s, Based On Novel, Japan, Japanese. Bookmark the permalink.